The Dutchman and Alisson made an error that allowed Ryan Babel to equalise at Craven Cottage, before James Milner converted from the spot to bag a crucial win. 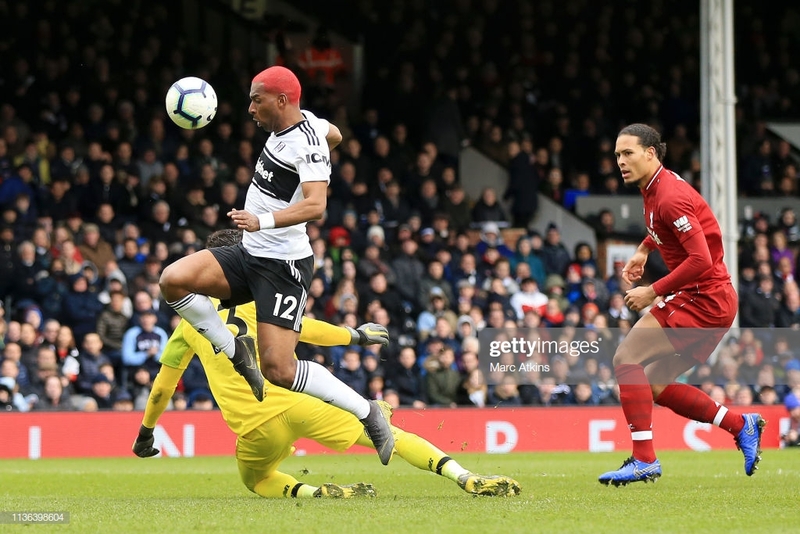 Virgil Van Dijk conveyed his disappointed after making a mistake during Liverpool’s narrow 2-1 win against Fulham on Sunday afternoon, having headed the ball back to Alisson without being aware of the onrushing Ryan Babel, who capitalised on the under-hit ball to equalise for the hosts. Prior to Liverpool’s trip to Fulham, Babel suggested that he knew Van Dijk’s weakness that no-one else was aware of, hoping to exploit it in order to secure three points and relieve pressure on an incredibly bleak looking league table. The Dutchman has been in sensational form this season, underpinning Jurgen Klopp’s title challenge with a notable improvement in the club’s defensive picture largely down to his influence and authority at centre-back. Visibly marshalling and communicating across his back-four, Van Dijk has added a sense of calm and assurance to a team once riddled with defensive mishaps that threatened to prevent them from sustaining a true challenge for silverware for the foreseeable future. He has been pretty much faultless, rarely caught out of position and always on hand with timely interceptions to break up attacking situations. However, he proved he was human with a short header leaving Liverpool in a precarious position, drawing 1-1 with Fulham midway through the second-half – a result that could’ve derailed all hopes of a Premier League title win. Liverpool were far from their scintillating best in a performance that directly contrasted the mature 3-1 Champions League win in Munich, with Sadio Mane head and shoulders above his teammates, delivering two key moments to get the Reds over the line and complete a crucial week for the club. The Senegal international took his tally to seventeen league goals for the season after combining with Roberto Firmino down the left-hand side before powering past Rico. That puts him level with Mohamed Salah as the club’s top goalscorer, with a rich vein of form culminating in eleven goals from eleven games while his Egyptian teammate has struggled to find the back of the net. Having squandered opportunities to increase their lead in the first-half, Liverpool were made to pay via Ryan Babel’s equaliser before Sadio Mane was judged to have been brought down inside the area. With just nine minutes left on the clock and a potentially season defining penalty on the line, James Milner’s ice-cool finish straight down the middle proved just what a dependable figure he is from the spot, gifting Liverpool a nervy but pivotal three points and subsequent return to the top of the Premier League table. Indeed, there was something fitting about the rest of the team bailing Alisson and Van Dijk out of a costly error, with the duo two of the standout performers of the season.